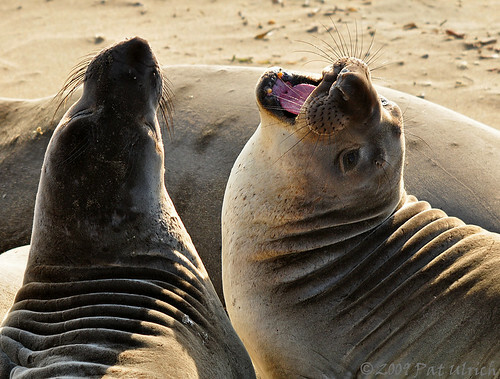 Its an exciting time of year along the central California coast -- the elephant seals are returning to the rookery beaches for their winter antics of fighting, mating, and having babies. My trip last weekend was still too early to see any of the big blokes, but there were a few rambunctious youngsters who did a little play fighting while we were there. It must be nice to be so close to abundant wildlife Pat. Looks like you could spend hours upon hours with these guys. Great shots. Thanks for stopping by. Thanks, Mark. 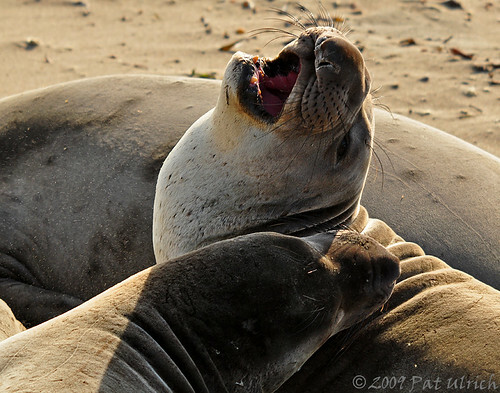 Northern California is such an awesome place to live in that regard, since we have a great diversity of wildlife and many places to encounter it. 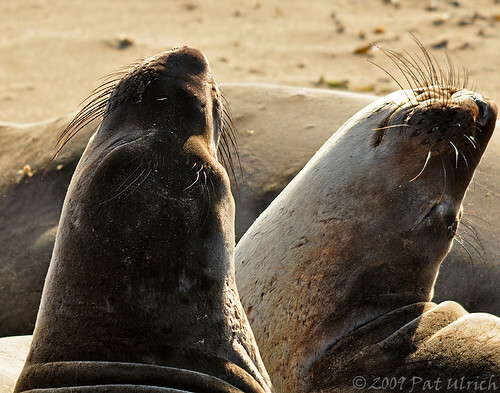 And without a doubt I could spend an entire day watching these guys on the beach!